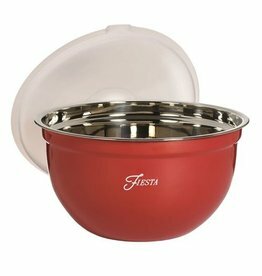 The 12 Piece Fiesta® Mixed Color Silicone Handle Cutlery Set. High Carbon Steel Forged Construction. Laser Finished Ultra Sharp Fine Edges. 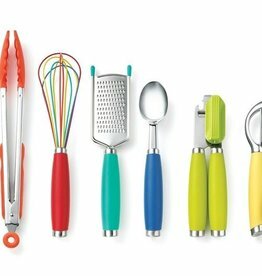 Vibrant Mixed Color Soft Touch Silicone Handles For Ergonimic, Non-Slip Safe Cutting. Geniune Acacia Wood Storage Block With Non-Absorbent, Non-Porous Cutting Board That Stores Neatly In The Block. Imported from China. For best results, hand wash all fine cutlery.